Meg Boyle is a PhD Candidate in Geography at Penn State University. With advisor Dr. Brian King, Meg works at the intersection of governance, development, and global environmental change. 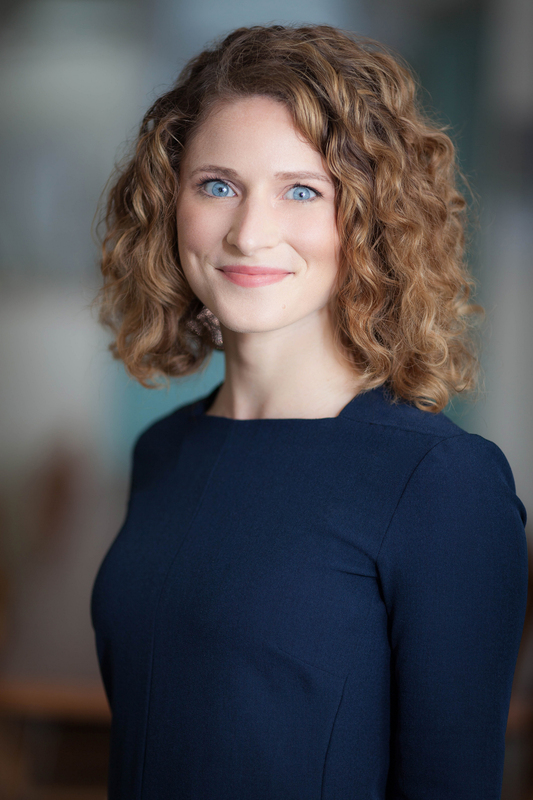 Her current research focuses on the Paris Agreement, an international climate accord based on a new, country-by-country system rooted in diverse national approaches, and on the tradeoffs countries face in prioritizing the interests of international allies and the needs of climate-vulnerable communities under this system. 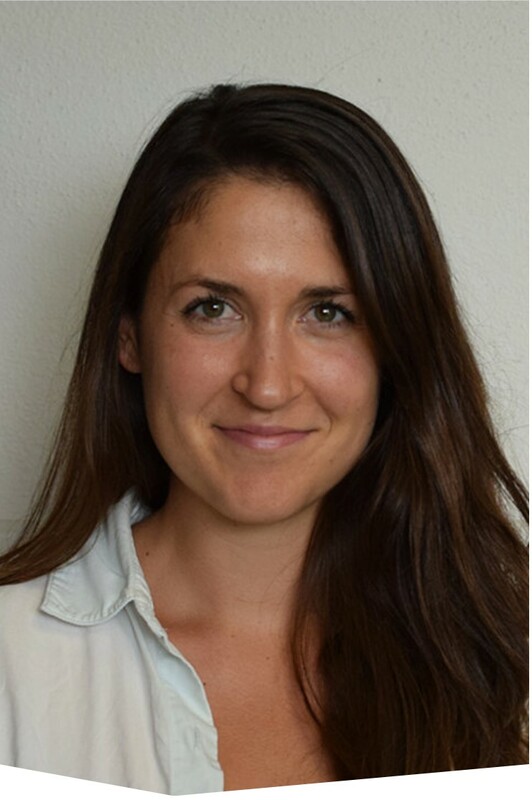 Her SWG-supported field research will evaluate how climate-vulnerable and food-insecure communities interact with nationally determined contributions to the Paris Agreement, with implications for multiscalar climate adaptation efforts, adaptation in the agriculture sector, and the shape of future international agreements. Meg will present this research at the Adaptation Futures Conference and the Earth System Governance Conference later this year. Prior to arriving at Penn State, Meg was a climate policy advocate, grantmaker, coalition convener, and youth leadership development expert in Washington, DC. Meg is dedicated to building communities of youth leaders, helping people access decision-making processes that affect their lives, and fostering international cooperation on the basis of science and equity. Meg’s perspectives on climate governance have been quoted domestically and abroad, including by NPR, The New York Times, CNN, BBC, Bloomberg, and USA Today. Meg holds a BA in Biology and Environmental Studies from Bowdoin College in Brunswick, ME as a Udall Scholar, and her MPA from the University of Washington’s Evans School of Public Affairs in Seattle, WA as a Jackson Fellow. At Penn State she was a University Graduate Fellow. Kathryn L. Hannum is a PhD student in the Geography Department at Kent State University. Kathryn earned her MA at Kent State and her BA at San Jose State. Having grown up in a multicultural community in Woodland, CA, Kathryn became interested in the power of identity code-switching at an early age. After attending Spanish immersion K-8 and playing Division IA Water Polo at San Jose State, she left the US to teach English at a rural high school in Galicia, Spain. There she developed new questions surrounding identity and nationalism, which inform her research today. Her interests revolve around questions of identity and include topics such as language, diaspora, nationalism, fashion, and generation gaps. Her dissertation focuses on interregional cooperation in diaspora engagement projects between Galicia and Buenos Aires. Kathryn will utilize qualitative methods to research the interconnected institutional and individual scale phenomenon at play in regional diaspora engagement. She hopes to discover what the aims and benefits of diaspora engagement projects are to both migrant-sending and migrant-receiving regions and what the intergenerational impacts of these projects are within Galician migrant families. 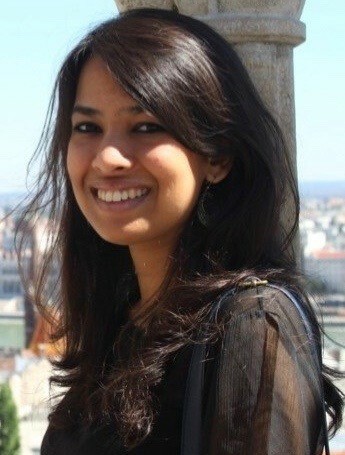 Surabhi Karambelkar is a PhD candidate in Geography and Public Policy at the University of Arizona. She works at the intersection of water, energy, and environmental policy issues. She is interested in understanding how institutional arrangements—laws and policies—mediate access to and control over water resources, how they interact with broader political economic pressures, and how they create and resolve conflicts among competing human and environmental demands in water-stressed river basins. Her dissertation research is situated in the iconic Colorado River Basin, which is in its 18th year of an unprecedented drought. Her research investigates how water, environment, and energy laws and policies govern dam operations and hydropower production, and the differential benefits and impacts of changes in hydropower generation in the Basin. Hydropower is one of the most important water uses in the Colorado River Basin from an economic standpoint, yet the consequences of changes in power generation remain poorly understood. This research seeks to produce needed empirics that can help decision-makers in minimizing maladaptive tradeoffs between competing water and energy uses in the Basin. Prior to her doctoral studies, Surabhi worked as a consultant for a multinational environmental consulting firm where she conducted social impact assessments, as well as resettlement and livelihood restoration studies for water and renewable energy projects in South and Southeast Asia. She holds an MSc in Environment and Sustainable Development from University College London. 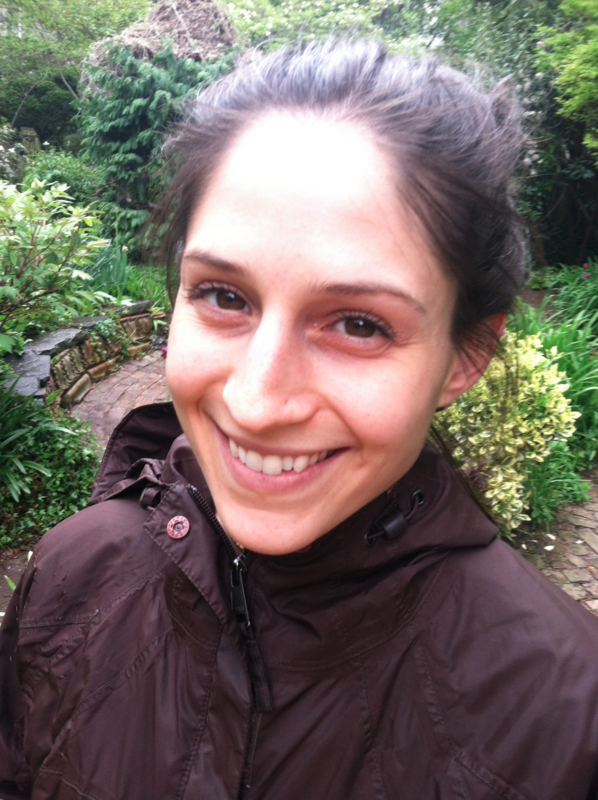 Amanda Kass is a PhD candidate in Urban Planning and Policy at the University of Illinois at Chicago. Her dissertation examines institutional investor activity in the residential housing market post-recession. In addition, Amanda researches public finance; her work is frequently cited by newspaper and television reporters. She has an MA in Geography from the University of Colorado at Boulder, and a BA in Geography from Ohio State University. Elizabeth Schneider is a PhD candidate in Geography, Environment, and Society at the University of Minnesota. 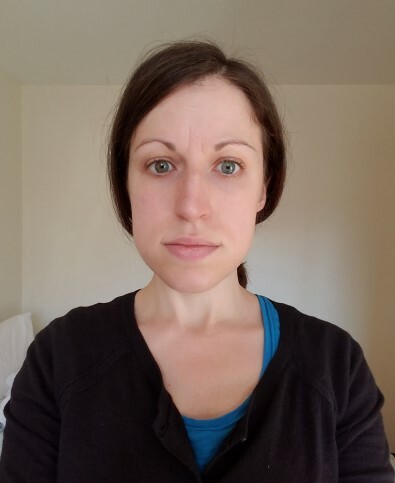 Her research evaluates the spatial and temporal patterns of fire occurrence in the Upper Great Lakes region of Minnesota and its relation to controlling mechanisms, such as climate and landscape dynamics. She uses both dendrochronological and spatial analytic approaches to understand where and why historical fires occurred on the landscape and possible changes to the contemporary fire regime. The goal of her research is to aid in the understanding of fire as an important ecological process and potential management tool. To implement management strategies effectively, such as prescribed burning, it is imperative to identify how various drivers of fire manipulate the timing, spread, and severity. Elizabeth’s research will provide much needed insight into the complex dynamics between disturbance and ecosystem processes of the Upper Great Lakes region of Minnesota. Araby Smyth is a PhD candidate in Geography at the University of Kentucky. She holds a BA in Political Science and an MA in Geography from Hunter College of the City University of New York. Her research mobilizes feminist economic and political geography to investigate the gendered nature of remittances and their roles in disaster recovery in a rural indigenous town in Mexico. The goal of her research is to understand: 1) the precise ways that remittances are being managed after a natural disaster; 2) how women participate in remittance management at the household and community level; and 3) how the process of negotiating the use of remittances is transforming the responsibilities, labor, and political involvement of women. Araby’s research will contribute insights on the relationship between gender, labor, and citizenship, as well as new findings on how global migration and remittance flows are mobilized by family networks and local communities in post-disaster situations. Kathryn “Katie” Bills Walsh is a doctoral candidate in the Geography Program of the Earth Sciences Department at Montana State University. Katie grew up in north central Connecticut and studied geography and secondary education as an undergrad at Keene State College in Keene, NH. Upon completion of her undergraduate degree, Katie relocated to Victoria, BC to pursue a Master’s degree in Geography at the University of Victoria. 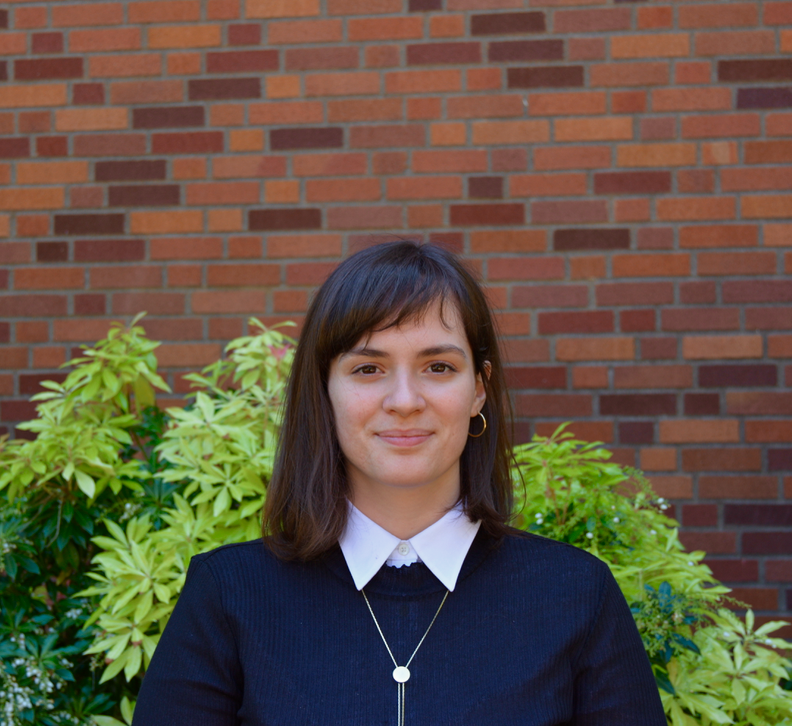 At UVic, Katie researched public park spaces established and designed for use by older adults. There her interest in landscape and qualitative research methods developed, which now inspires her work as a doctoral candidate at Montana State University. Katie is working towards an integrated human geography PhD focused on energy development, landscape, and reclamation in the US west. More specifically, Katie studies the human dimensions of coalbed methane reclamation in the Powder River Basin of Wyoming. Before beginning her PhD, Katie was an adjunct faculty member in the Geography Department at Keene State College where she taught multiple courses including Geography of the US and Canada, Physical Geography, the Geography of Aging, and a field studies course in the US desert Southwest. When not buried in a book Katie enjoys traveling, cheering on the New England Patriots, hiking, and camping. Yi Yu is a PhD Candidate at University of Oregon. She received her MA from Syracuse University and BS from East China Normal University. Her interest in care began with the observation of orphan care in Chinese state-owned social welfare institutions. She has since conducted research on the affective care delivered by professional caregivers to orphans, who call the caregivers “mom,” and has noticed the conflicting subjectivity of caregivers serving as professional caregivers and institutional mothers. Later, her interest in affective labor and care extended to eldercare in urban China, as eldercare has become a severe social issue in China as the one-child parents have aged into their 50s and 60s. Her current research focuses on community eldercare in urban China, which is expected to supplement home care and replace institutional care. Community eldercare in urban China is designed by the state for population governance to appear as a state project, while it is actually “feeling like a family” to the elderly and their caregivers. The social workers and caregivers are required to provide home-like care and environment. Thus, an institutional home might be produced that blurs the boundary between private homes and the community, between the private and public. The goal of her research is to understand: 1) the caring space promoted, institutionalized, and put in practice by the Chinese government through public-private partnership; 2) how affective labor is manipulated to create the affective space for care; and 3) how the care-receiver and caregiver constantly (re)produce the caring space. Her research contributes to the understanding of the intersection of public-private partnership, home, and affective labor in eldercare in the People’s Republic of China. Lourdes Ginart is a geographer pursing her MS in Geography at the University of Oregon. A Miami native, Lourdes attended Florida International University and graduated with a BA in Political Science and Geography. Shortly after graduating, Lourdes worked for the City of Coral Gables in Miami-Dade County as a GIS specialist. It was in this capacity that her work on climate change began via sea level rise and coastal inundation mapping projects. Lourdes’ research interests include: human geography, critical geopolitics, climate change knowledge production, political science, science and technology studies, and Latin American studies. Her current work is a reflection of these interests as she is exploring the politics of climate change research. Specifically, Lourdes is researching the geopolitical legacies and scientific colonialism involved in climate change knowledge production in Latin America. Lourdes’ research is driven by her own experience with sea level rise, bad policy, and poor community engagement. In this work she aims to ensure exploitive geopolitical relationships are not perpetuated, but rather that current climate change research and response efforts are inclusive of the communities and voices affected. Funding from the SWG Pruitt National Minority Fellowship will support a trip to South America where Lourdes will engage with local governments, local communities, climate change scientists, and climate change NGOs. In addition to her studies, Lourdes is a cartography enthusiast and enjoys creating maps on a series of topics, most recently environmental justice, sea level rise, and electoral demography. In her post-graduate career, Lourdes will continue to work with climate change research and policy institutions to guarantee fair and equal engagement of local communities and the general public with stakeholders and decision-makers. Nicole Zampieri is a biogeographer and botanist who works on population dynamics of the endangered longleaf pine (Pinus palustris) in Florida. The longleaf pine ecosystem is one of the most imperiled and biodiverse habitats in North America. 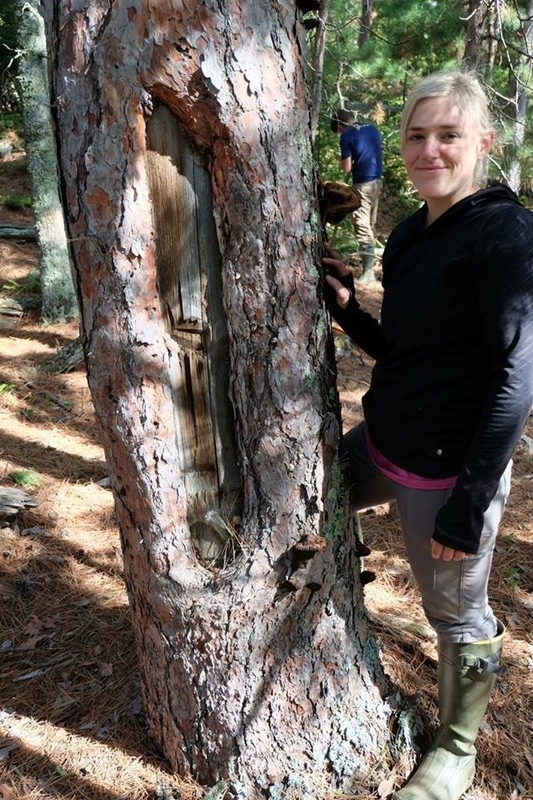 Her work aims to understand the growth and distribution of longleaf pines, specifically across the various natural community types where they are dominant. Broadly, her research interests include dendroecology, endangered species, biodiversity conservation, climate change, plant communities, and ecology. Nicole earned her BS from Florida State University in Environmental Science. 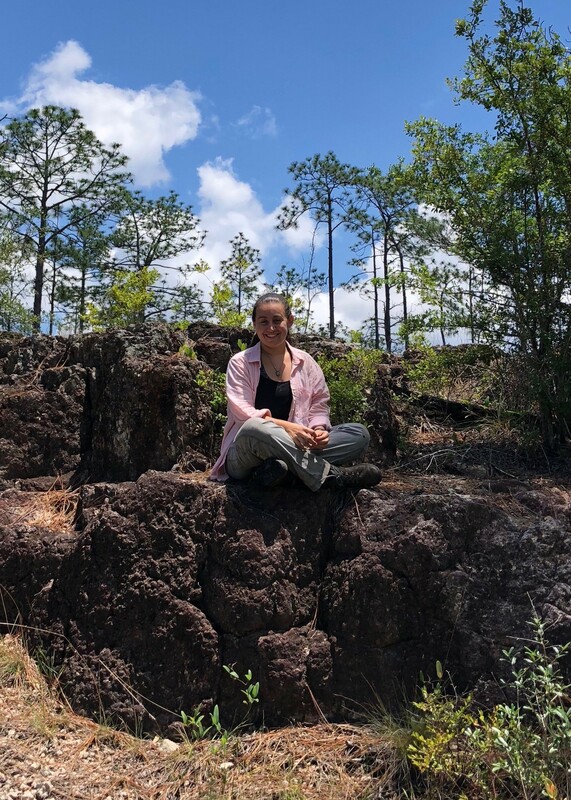 Currently, she is a graduate student in the Geography Department at Florida State University, where she is a member of Dr. Stephanie Pau’s Biogeography & Global Change Ecology Lab. Nicole is spending the summer of 2018 in the field collecting the data for her longleaf pine assessment. This research will determine the average density, size and age distribution, and woody growth rates of longleaf pines in relation to natural community type and climatic variables such as precipitation and temperature. The study will incorporate the range of longleaf pines across the Florida peninsula and will contribute to what is known on the ecology and biogeography of the longleaf pine ecosystem. Additionally, Nicole works as a Field Biologist for the Florida Natural Area Inventory, where she focuses on rare plant surveys, ecological monitoring, and database management. Previously, she interned as the Exotic Plant Manager at the remote Katmai National Park & Preserve in King Salmon, AK. Danielle Lella Bartolone is a master’s candidate in Geography at Hunter College. She researches how sustainability, or unsustainability, is embedded in a culture. Danielle’s central claim is that current global systemic crises emanate from a modern western cultural worldview that is premised on the separation of humans from nature, the disconnection of humans from humans, and the promotion of perpetual economic growth for human development and wellbeing. Ecovillages hold a wealth of knowledge into sustainability because they are living models of alternative systems of culture, offering rich insight into how to transition from a culture of unsustainability to sustainability. Danielle traveled to Maharashtra, India for a case study on Govardhan Ecovillage, a model sustainable community and spiritual retreat center, to investigate how Vedic culture (ancient religious practice of India) can lead to holistic sustainability. While there she interviewed 30 ecovillage residents and management to discover how the worldview and principles of Vedic culture is the essential foundation and structure for the community in realizing sustainability. Danielle studied at the University of Maryland, College Park for her undergraduate degree in environmental science and policy with a geographical concentration in land use change. After graduating she worked for the Environmental Protection Agency in Washington, DC and currently works for The Garden Club of America as a program administrator for conservation efforts and environmental policy initiatives. Danielle lives in Brooklyn with her husband and serves as director of a cultural center on the Lower East Side. Erika Jimenez Rivera is a master’s candidate in Geography at Hunter College. Her main interests are socio-environmental projects, database management, GIS technologies and applications, conservation, and sustainability. At Hunter, she took several GIS courses in which she had the opportunity to use GIS tools for the analysis and management of spatial data. She lived and worked in the Amazon Region of Ecuador for an archaeological and geographical data collection project for four months. Her responsibilities included daily walks to the field, collection of data with GPS, archaeological excavations, and organizing the collected data in datasets for map production.